It’s Cinco de Mayo! And what better way to celebrate than with a Margarita? A Crazy Rita Margarita Mix! Taste and Flavor: – Fresh, clean and fantastic! A winner. From Crazy Good Specialty Foods and Jim O’Brien – home of the Crazy Mary Bloody Mary Mix, comes Crazy Rita Margarita Mix. When it comes to mixers, Jim and his Crazy Good kitchen know their stuff. Ingredients: water, fresh squeezed citrus juice (lime juice, orange juice, lemon juice), cane sugar. What a simple list of ingredients, right? And when it comes to cocktails, it’s all about the ratios. And Crazy Good knows ratios. 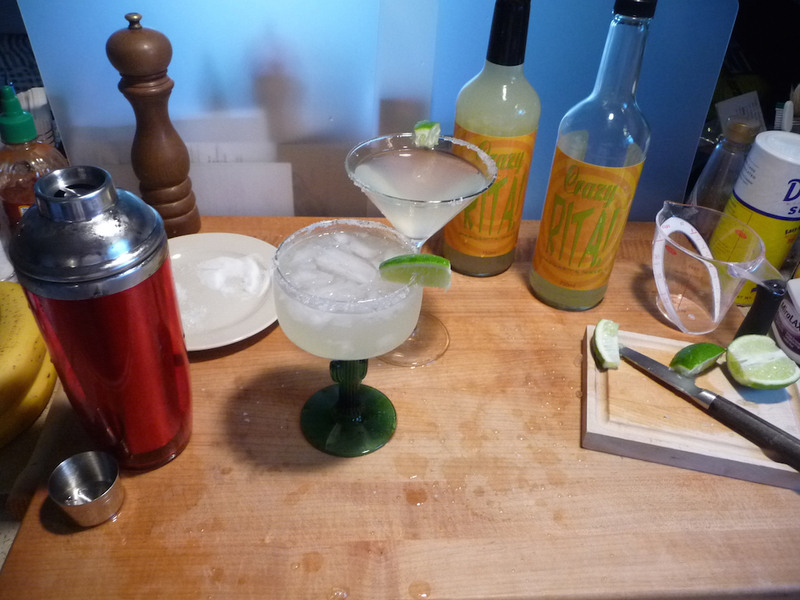 The Crazy Rita recipe is pretty simple. 3 oz Tequila + 4 oz Crazy Rita. A great ratio of more Tequila to mixer. (We typically go for 1 part liquor + 2 parts mixer – yea we like our cocktails strong.) But this is kooky town! 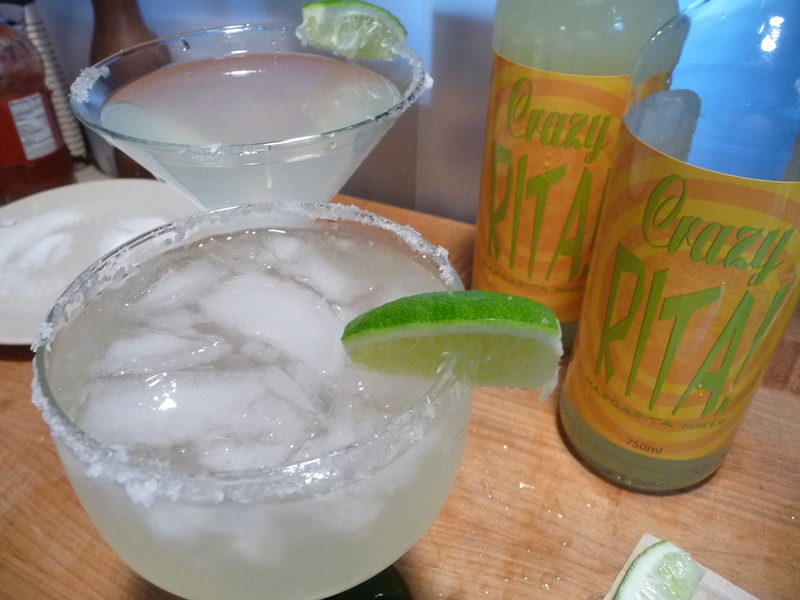 Crazy Rita Margarita Mixer straight up: Light-bodied and flavorful, this refreshing mixer is very palatable. There’s no heavy syrupy sweetness. And more importantly, the citrus flavors are not harsh or acidic like many grocery store branded mixers can me. Crazy Rita Margarita Mixer as a cocktail: We mixed up a batch following the instructions on the bottle. We made both a “straight up” Margarita and one on the rocks. Both were delicious and tasted exactly the same – light, clean, and very drinkable. I like straight up. Marilyn likes it on the rocks. By the way, the ONLY way to make a quality Margarita is to use a good quality tequila. And ALWAYS with a Silver, or Plata (Blanco) blend. 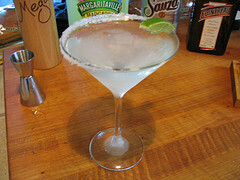 Our favorite (expensive) is Patrón – but Hornitos Plata, or even Sauza Silver make great Margaritas. It becomes a matter of choice as to whether you make it “straight” or “rocks” too. As to sweetness, I do like my Margaritas on the sweet side, so I like to add a small amount of 10X or Confectioner’s Sugar to the mix. About a ¼ to ½ teaspoon – it really smooths things out for me. Tip: We like our Margaritas with salt on the rims. But we only salt 1/2 of the glass. That way you get to sip with the salted rim, and then take turns sipping from the unsalted side too. A winning combo in our opinion! Final thoughts: Be careful! 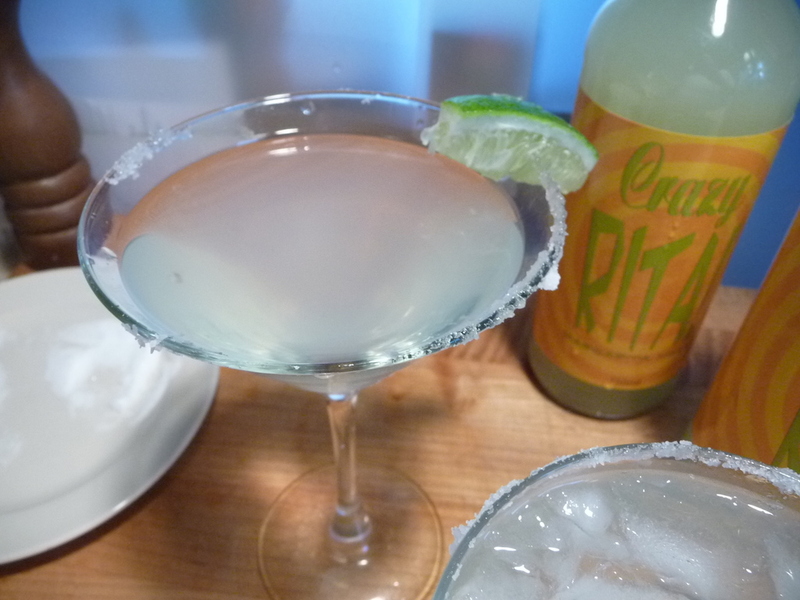 Crazy Rita Margarita Mixer is so good and drinkable, you’ll be going through a few Margaritas pretty fast! Not that that’s a bad thing. Be sure and check out the great deal on a two pack of Crazy Rita and Crazy Mary, and tell Jim HotSauceDaily sent you! Our review of the Crazy Mary Bloody Mary Mix is very popular. 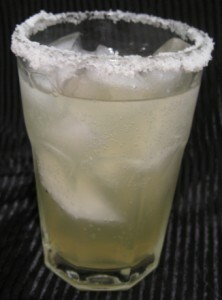 After Margaritas, my favorite tequila drink is the Paloma – a refreshing drink made with Tequila Blanca (Silver), grapefruit soda, and a splash of lime juice. Rim a glass with salt, add ice, tequila, lime juice. Fill with grapefruit juice, garnish with lime slice. I like Jarritos grapefruit soda, found in the Mexican foods section. Or you can use grapefruit juice and club soda. The Mexicola couldn’t be easier – it’s a shot of Tequila in your favorite cola. In a rocks glass, add ice, shot of Tequila, fill with cola – I prefer Diet Pepsi. Squeeze in a wedge of lime to finish. For a classic Margarita, check out my 3-2-1 Margarita recipe. 3 parts Tequila, 2 parts Cointreau, 1 part lime juice. Rim 4 glasses with salt, add ice. In a pitcher combine beer, limeade and Tequila. Pour into glasses, garnish with lime wedge, serve immediately. Combine the salt and chili powder in a small plate. Rub a lime wedge around the rim of each beer mug and dip into the chili-salt to coat the rim. Squeeze the juice of 4 lime wedges into each mug. Add a lime wedge to the mug and fill with ice. Add 1 bottle of beer, a dash of hot sauce and a dash of Worcestershire sauce and serve immediately.